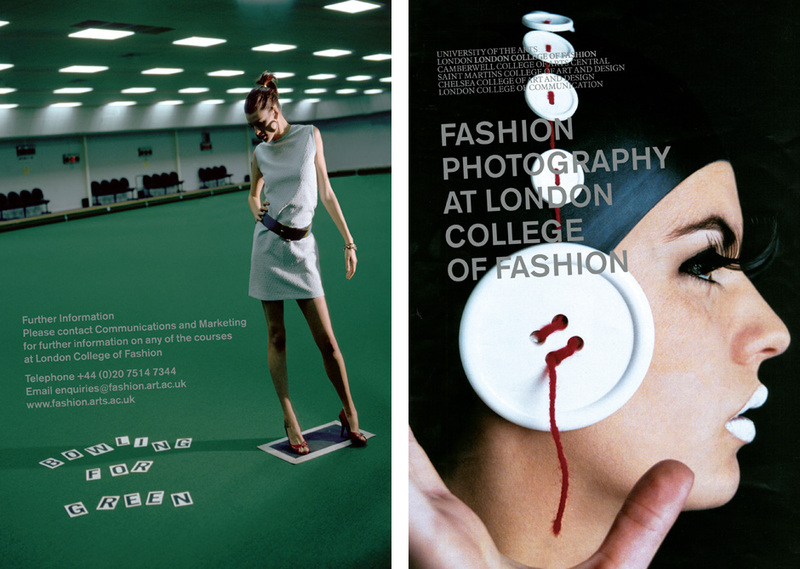 Based in the West End, London College of Fashion (LCF) is the only college in the UK to specialise in fashion education, research and consultancy. 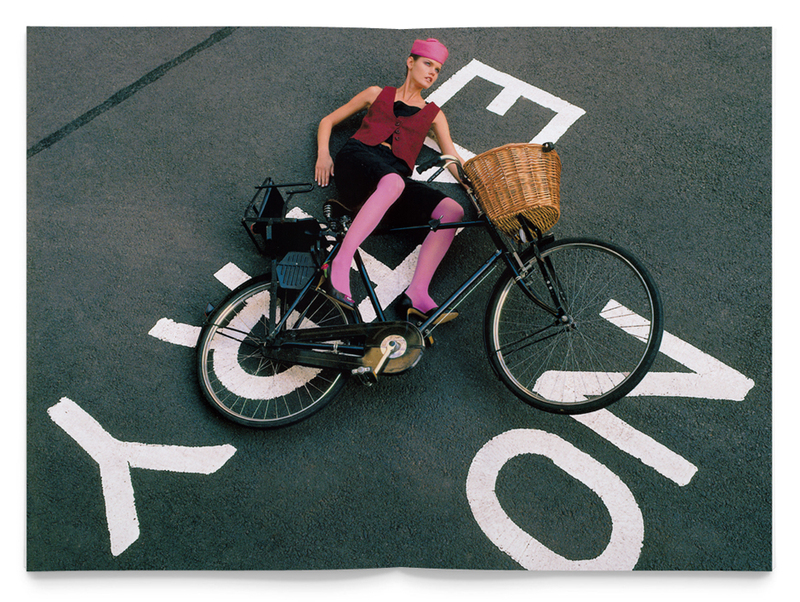 A unique portfolio of vocational courses includes three highly respected fashion photography courses. We were asked to design a booklet that would promote all three courses to potential students and sponsors, industry contacts and art galleries. 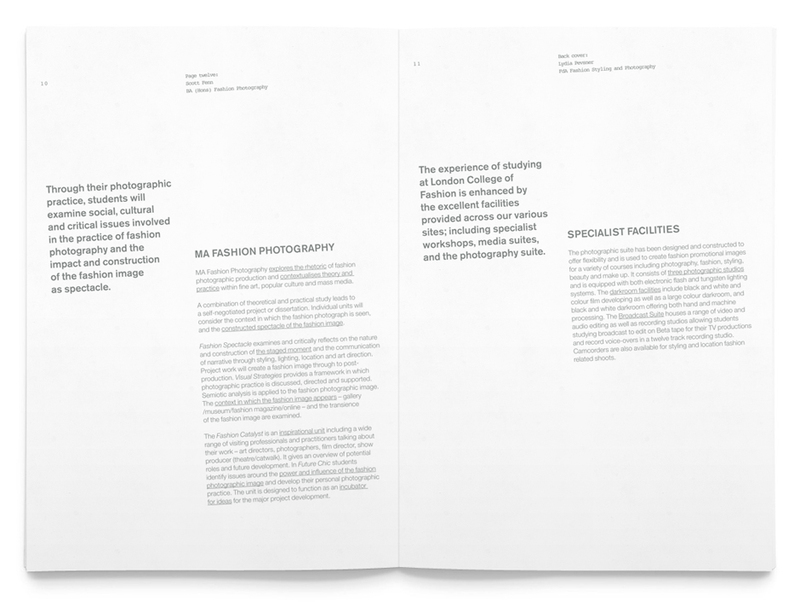 Inspired by the material on which photographs are printed, the finished booklet showcases students’ work printed on double-page glossy spreads. 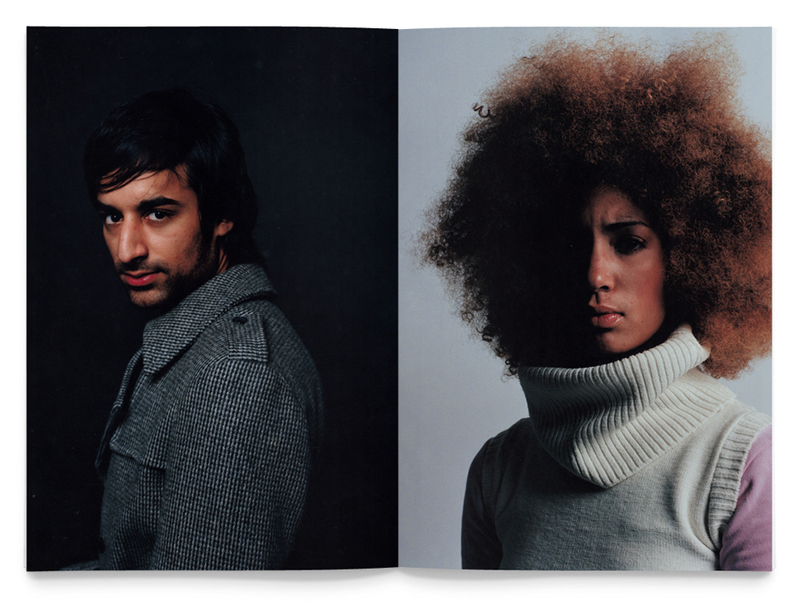 On the reverse of these images the copy is printed on a matt surface, on the slant, in the style of brand marks that appear on the back of photographs. 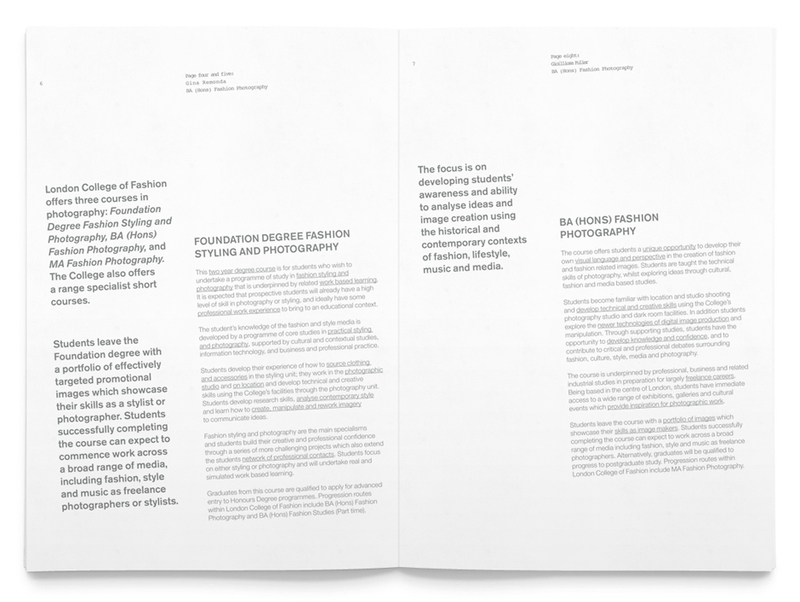 Magazine-style pull-outs and underlined text sections carry the key messages for swift assimilation. The shots sell themselves, the students who took them, the courses and the College. All that was required of us was to package them confidently and appropriately.